For Marcia Van Oyen, the most memorable trip her church choir has taken with Indian Trails was just last June. That’s when the singers of Plymouth First United Methodist Church in Plymouth, Mich., chartered a motorcoach in order to perform at churches in the northern part of the state that have no choirs of their own. Their stops included West Branch, Au Gres, and St. Ignace, just across the Mackinac Bridge. They would have made it across before the storm hit if it hadn’t been for two motorcyclists in front of them who’d been forced to stop and lay their bikes down because of the storm’s severity. When wind speed hits 55 mph, the Mackinac Bridge Authority closes the span to high-profile vehicles like trucks, trailers and motorcoaches. At 65 mph, the bridge closes to all traffic. “We were stuck for some time because our driver had to stay in the right lane behind the motorcyclists,” Van Oyen says. “He was finally able to inch around them when he saw that oncoming traffic in the next lane had been closed off.” On that particular day, wind gusts were recorded up to 72 mph—just shy of a Category 1 hurricane. In our last edition of Indian Trails Express, we explained the basics of how to get a group charter trip rolling. This time around, we cover some important points about what happens next. For example, say you’re interested in taking your group on a four-day trip from Lansing, Mich., to Washington, D.C. And you’ve already told us to include stops at Cedar Point in Ohio on the way there and at Gettysburg National Park in Pennsylvania on the return. The two side trips are considered part of your original itinerary. Can you watch a movie or play music while on the road? Absolutely. Among other amenities such as free WiFi, 110-volt outlets, a restroom, reclining seats with footrests, and personal climate and light controls, our luxury motorcoaches are equipped with a DVD player and monitors throughout the cabin, as well as an audio system. Can you bring food and beverages on board? Yes, indeed. Although a $500 deposit is required for alcoholic beverages, it’s refundable if there’s no damage to the bus. We provide trash bags free of charge. What other costs should you know about? If the trip includes one or more overnight stays, the cost will include a private hotel room for the driver each night. Groups that reserve the driver’s room themselves tend to save a bit, since our flat rate is $180 per night if we book it. However, you’re not responsible for the driver’s meals. The recommended gratuity for a group charter is one or two dollars per passenger per day if it’s a multi-day trip. Others use a percentage or pay it up front as part of the cost. What if the coach breaks down? Relax. Indian Trails maintains one of the newest and largest motorcoach fleets in Michigan. For the rare times when there’s a problem, our regional service centers (in Owosso, Kalamazoo and Romulus) and an emergency dispatcher on duty 24/7 enable us to respond quickly. Having been at this for 107 years, we’ve also established relationships with other transportation companies throughout the United States, so help is usually a phone call away. Ready for the art experience of a lifetime? Visit ArtPrize between Sept. 20 and Oct. 8. It’s an international art competition featuring nearly 1,500 works of art at 175 venues throughout downtown Grand Rapids—museums, bars, public parks, restaurants, theaters, hotels, bridges, laundromats, auto body shops, vacant storefronts and office spaces. 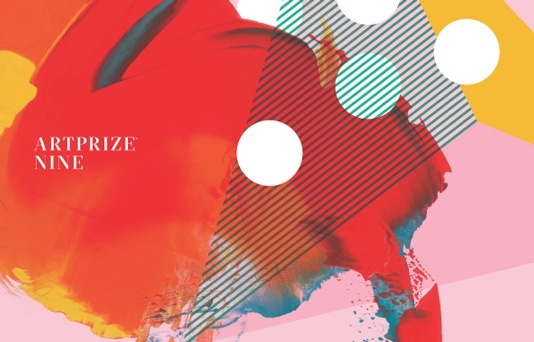 For artists from across the U.S. and around the globe, it’s a chance to show their work and compete for more than $500,000 in prizes—$200,000 of which is decided by public vote, $200,000 by art experts. For the public, it’s totally free. So, you could get a group together and charter a deluxe Indian Trails motorcoach (capacity 30-56) for an “art party weekend.” The driver would pick up your group at a designated location in your town, and then get you to and from the event in style. Indian Trails’ customer service folks will happily guide you through the charter process. And you can get a quote online in advance. To soak in the artwork all weekend, your group could stay at one of Grand Rapids’ fine downtown hotels overnight or longer. Other hotels offer guests special discounts and free shuttle service to and from ArtPrize on weekends. Either way, getting around ArtPrize is a snap with the city’s great mass transit options. Check out the new “experience guides” to help plan your trip. Want to visit ArtPrize without a group? With Indian Trails’ daily, scheduled routes, it’s just a relaxing, affordable motorcoach ride from locations all across Michigan. For example, for a mere $30 roundtrip, you could leave from East Lansing’s Intermodal Terminal at 2:30 p.m. on Friday, Sept. 22, arriving at the Rapid Central Station in Grand Rapids at 4 p.m. After an art-filled weekend of wonderment, you could then catch a return coach on Sunday at 4:45 p.m., arriving back in East Lansing at 6:10 p.m. Check ticket prices and schedules here. Did you know? Besides providing group charter service, Indian Trails operates intercity buses over 38 daily, scheduled routes throughout Upper and Lower Michigan and into Chicago, Milwaukee and Duluth. The coaches serve more than 100 urban and rural boarding points and transport thousands of passengers from all walks of life. 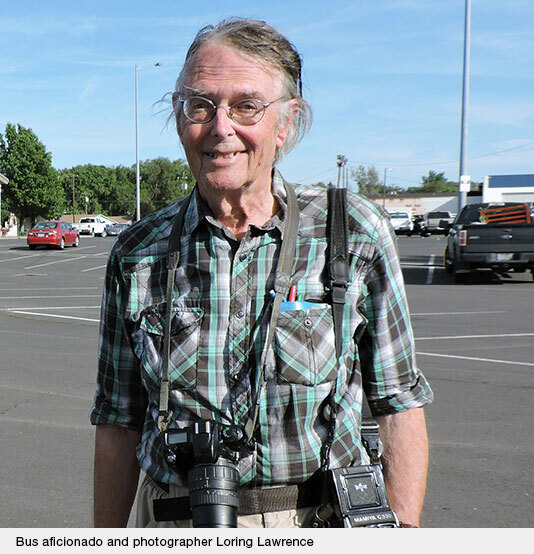 Still, it was a delightful surprise to recently learn that one of those passengers—bus enthusiast extraordinaire Loring Lawrence—ranked Indian Trails as one of the nation’s best bus systems in an article in Oregon’s largest regional newspaper, the East Oregonian. When he’s not running a travel agency in Manchester, N.H., Lawrence—the longtime editor of Bus Industry Magazine, published by the Bus History Association—is pursuing a multi-year quest to travel on every bus transportation system in the United States. “When time’s not a factor, I love to travel through places—the countryside, cities and towns I’ve never seen before, especially little out-of-the way places,” says Lawrence. He traces his enthusiasm for bus and rail transportation to a fascination for trolley cars he developed as a young boy. That, plus a mother who loved to travel by train and took great pains to organize a detailed itinerary for every trip. Lawrence’s wanderlust to ride every bus route in America began in earnest about 15 years ago. “I wondered if anyone had ever tried this before,” he said, adding that he records details in notebooks about each bus/route he rides on, right down to the bus number and time it arrived. He's also an avid photographer, having amassed a collection of nearly 40,000 bus photos from 120 countries. Lawrence says he’s traveled every Indian Trails route and found our transportation service to be one of the best. “I’ve been impressed by the scheduling,” he says, in addition to the comfort of our motorcoaches. “The buses are almost always on time—or early—and the drivers are always top-notch.” He also likes Indian Trails' practice of naming every motorcoach after an Indian chief from Michigan. The only other large company naming each of its vehicles is Peter Pan Bus Lines of Springfield, Mass., which uses names and events from the famous novel by J.M. Barrie. Late this month, Lawrence plans to take an Indian Trails coach from Chicago to Benton Harbor, where he'll ride and photograph the local transit system. 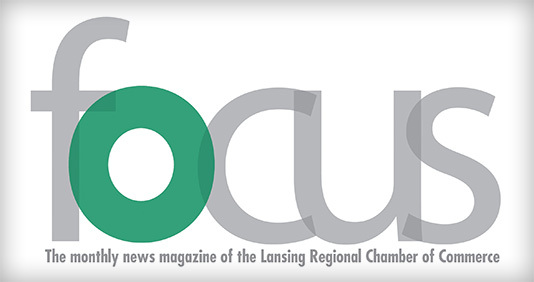 Thanks to the good folks at the Lansing Regional Chamber of Commerce, it’s easy for anyone to learn more about our innovative 107-year-old company. The Chamber graciously published an overview of Indian Trails in the September 2017 edition of its member magazine, Focus. You can read the article here. You received this email because you are subscribed to Marketing Information from Indian Trails, Inc..